YOU'RE READING Anna Wintour's daughter just got hitched (twice!) - were her dresses Vogue approved? What could be more beautiful than a seaside wedding on the Italian Riviera dressed in haute couture? We've been overwhelmed with the news of Hailey Baldwin and Bieber getting engaged recently! And it's all just happening so fast - Hailey already picked her bridesmaids (see video above). But there are more wedding (and more importantly, wedding dress) news. 30 year old Bee Shaffer, daughter of Vogue editor extraordinaire, Anna Wintour got married in a second ceremony in Italy this past weekend, to Italian native and the son of the late Franca Sozzani (editor of Vogue Italia), Francesco Carrozzini. The Cut reports that Bee, who is Anna's only daughter, got married to Francesco last weekend in Long Island at her mother's beautiful home, and then the couple opted for a simple ceremony in Portofino, Italy. The first ceremony apparently had a strict no social media policy, but some say Donatella Versace and Colin Firth were among the famous guests. Because security was so tight and there was no social media, we have no idea what that dress looked like. READ MORE: Queen Elizabeth II was at London Fashion Week?! But, luckily, here is a glimpse at her ivory lace dress by Dolce & Gabbana, worn to the second wedding. Such beauty in the simplicity, I must say. #beeshaffer (#annawintour daughter) in #dolcegabbana for her second wedding in Italy ????or????? 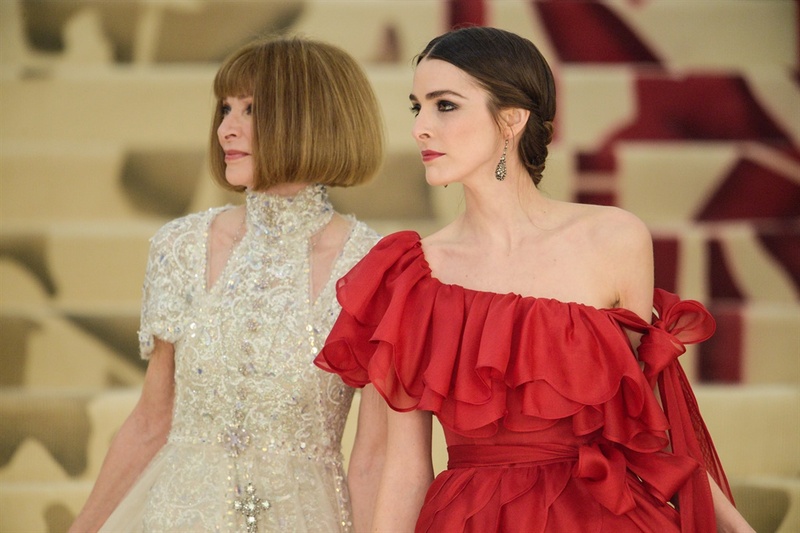 Earlier this year it was reported that the fashion crowd, and Anna Wintour in particular was left a bit miffed, when they were kept waiting at the Dolce & Gabbana show, as there were technical issues with the drones they wanted to act as some of their models on the runway. According to SF Gate, Anna left her seat in the front row to go and investigate the matter. 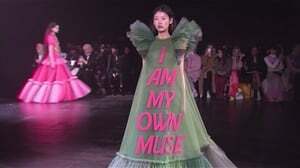 Maybe D&G opted to make Bee's second dress as a "Sorry, Anna!"? Who knows. Either way, the dress must've gotten Anna's, and therefore Vogue's stamp of approval in the end.